When I want SEO, I want this guy. He is a legend. 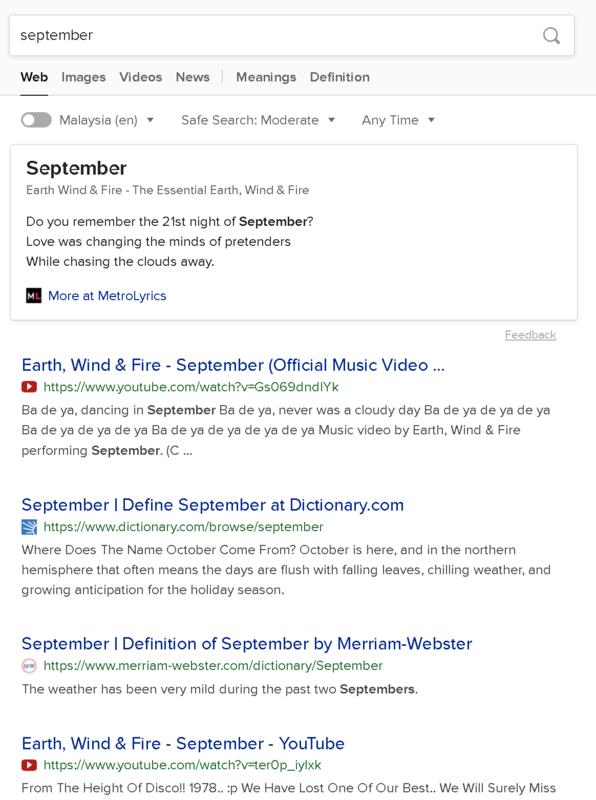 I searched for the word September. 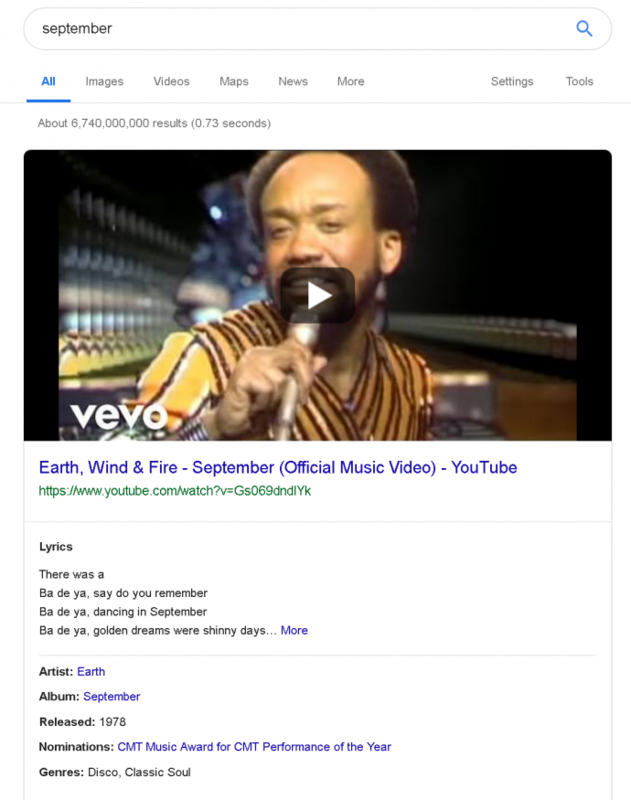 There is a whole month with that name and yet this song by a band has certainly taken the top spot in not only Google but also DuckDuckGo. He has set up about as many optimisers as I can think of. We got the lyrics, we got the video on Youtube, we got a card about the album and band, year of release and genre. I am now an expert in this song. What a legend.